Ronnie Pertnoy has more than 4 decades of proven leadership experience in the high-end residential and commercial construction sectors. 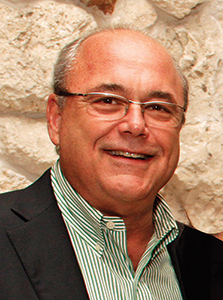 His strategic approach to construction and development is reflected in his work as a founding Principal Partner of Shapiro Pertnoy Companies. An accomplished corporate strategist, his vision in concert with fellow founding Partner and cousin Steven Shapiro has fueled Shapiro Pertnoy’s momentous growth over the last three decades. He embarks on each project with a “team” approach, strongly believing each team member must share the same common goal and passion in order to succeed. Ronnie continued, “Whether building a luxury home or undertaking a commercial project, we are dedicated to good design and superior quality. We really try to design things outside of the box and ahead of the times.” Shapiro Pertnoy Companies’ projects have been featured in Architectural Digest, Florida Design and Arts & Antiques, as well as other business media. Ronnie’s passion carries over into his commitment to the community. He ardently supports the Crohn’s and Colitis Foundation of America as well as the Jewish community from Miami to Palm Beach County, including Temple Emanuel and Jewish Family and Children’s Services. Ronnie also provides financial support to various charitable foundations including United Way, American Heart Association and Place of Hope.